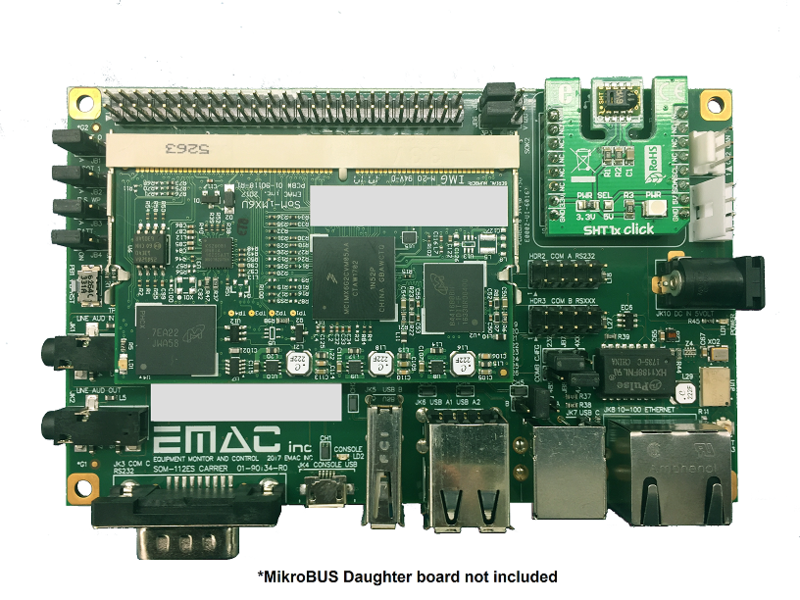 Designed and manufactured in the USA, the DEV-IOT6U development kit is your IOT starting point. Based on EMAC’s SoM-iMX6U which is an ultra low power System on Module (SoM) plugged into the EMAC SOM-112ES carrier board that contains all the connectors and I/O required for a system. The SoM-iMX6U is based on the Freescale/NXP i.MX6 UltraLite Cortex A7 processor and has ARM Sleep Mode of 3.5mA. 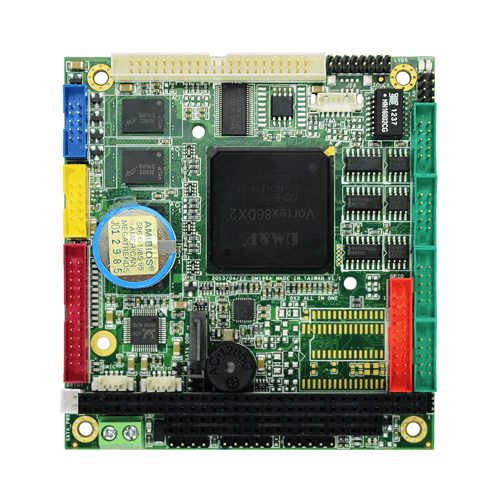 The VDX2-6554 PC/104 family of embedded controller is designed with backward compatibility in mind, to provide migration path for projects facing end-of-life challenges with their existing x86 based PC/104 controller. The VDX2-6554 family of controller is designed as a plug in replacement, with backward compatibility to support legacy software to help extend existing product life cycle without heavy re-engineering. The PCM-3350, with its GX1-300 MHz onboard processor and low power fanless performance, represents EMAC's next generation of high speed, low power PC/104 family of products. 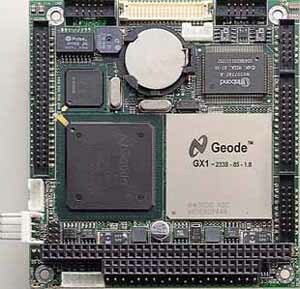 The stable Geode processor, onchip PCI VGA for VGA and TFT LCD support and rock solid Intel® 82559 ER High performance Ethernet chip, provide amazing power and functionality. The ability to stack a full range of PC/104 modules such as sound, PCMCIA, GPS, additional LAN, plus many others, greatly expands the range of applications. 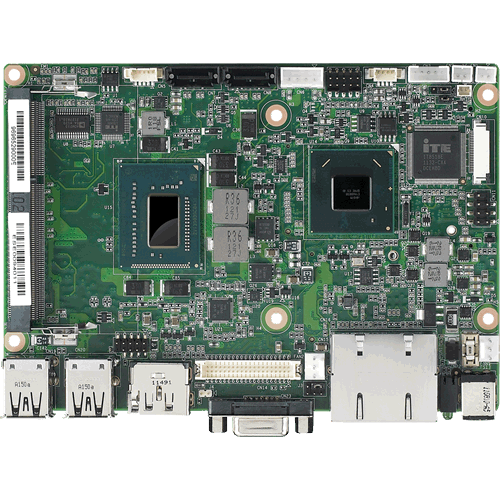 The PCM-3350 has all the power and features indicative of larger CPU control boards, but checks in at the standard PC/104 size of 96 mm x 90 mm. It has 256 KB Flash memory, a 144-pin SODIMM socket which can accept up to 256 MB SDRAM, and support for up to two EIDE devices. It supports up to two FDDs plus one serial RS-232 port and one RS-232/422/485 port. There are two USB 1.0 compliant ports, one parallel port and a mini-DIN connector that supports a standard PS/2 keyboard and mouse. There is a CompactFlash™ socket that can act as an emulated hard drive as well. An 18-bit TFT LCD panel is supported with flat panel display resolution up to 1024 x 768 @ 18 bpp. Non-interlaced CRT monitor resolutions up to 1024 x 768 @ 24 bpp are also supported. Along with APM 1.1 power management, an infrared port and watchdog timer support, the PCM-3350 has all the features that make it a full-featured performer in any computer class.